Circles Hair & Makeup is now MAC PRO and Bobbi Brown PRO and is investing in Makeup training to give our Clients the best possible beautiful fresh look for their Wedding day., also using some new products from Trish McEvoy and Illamaque. These products are used by all the top makeup artists, as they are longlasting, gentle on the skin and look fantastic. 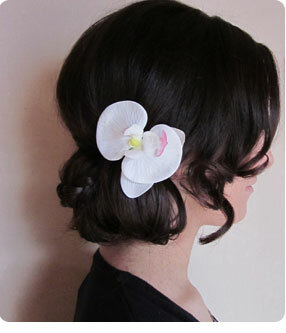 Circles Bridal Hair & Makeup will be featured in Best Bridal Magazine, March/April. Looking forward to seeing the Photoshoot with Verity Photography, Racheal Scott Bridalwear. Circles Hair & Makeup is now working on photographic/editorial styling for photo shoots. As a commitment to training, Circles hair is attending a Certified Course in Art of Photographic Makeup. Giving my clients the latest Makeup techniques to ensure you look beautiful on your Wedding day. Circles Hair & Makeup only uses Bobbie Brown , MAC & Estee Lauder Makeup products to ensure that your Makeup is long lasting and fresh. Please contact me for dates available, thank you.